The number of Stereosonic deaths has now risen to 2. Man dies at Adelaide Stereosonic music festival from suspected drug overdose. A man has died from a suspected drug overdose at the Stereosonic music festival in Adelaide on Saturday afternoon. The man was treated by paramedics and taken to the Royal Adelaide Hospital about 5pm but later died. Police said initial investigation indicated the man had taken an illicit drug and had a number of pills in his possession. 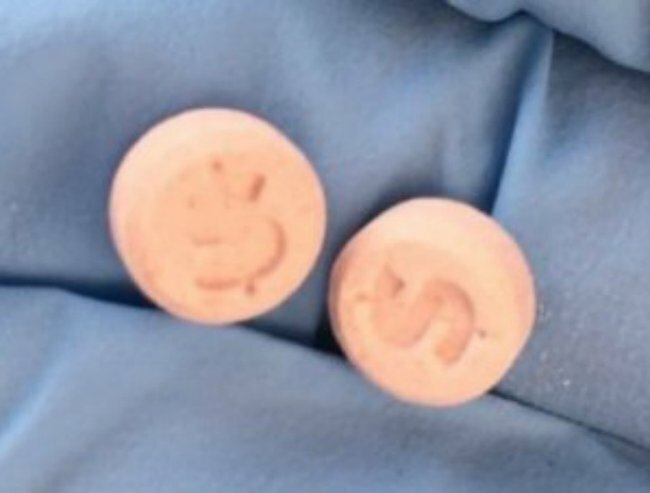 Police also released a photo of two round pills emblazoned with a dollar sign, identifying them as the pills found in the deceased man’s possession. They warned other festival-goers that those pills may have been related to his death. The event organisers posted a statement on their Facebook page confirming the death and warning festival-goers about the risks of illicit drugs. “Stereosonic is devastated to hear of another loss to drugs,” the statement said. Another man is in a critical condition in hospital after suffering a medical episode at the festival. Police believe he also consumed an illicit substance. South Australian Network of Drug and Alcohol Services executive officer Michael White does not believe the electronic music culture can be held responsible for the recent drug overdoses. “I don’t think there’s a cultural problem with that type of music,” he said. “I think most of our major cultural events are associated with alcohol or other drugs. Mr White also said pill testing at music festivals should be considered. “Whether or not they have a tent where you can go and pick up a pill test and take it away,” he said. On Friday, police in Adelaide seized 500 grams of methamphetamine that was hidden in a vacuum cleaner — drugs that they believe were bound for Stereosonic. The Adelaide death comes a week after 25-year-old Sylvia Choi died at the Sydney Stereosonic festival of another suspected overdose. A 25-year-old man from Punchbowl has since been charged for supplying a prohibited drug to Ms Choi before the festival. It is alleged the accused, Daniel Dung Huynh, supplied Ms Choi with a tablet and capsule of MDMA. This post originally appeared here on ABC News and was republished with full permission.